We’ve completed nearly two whole weeks of living out of suitcases and bags and boxes in our hometown. We’ve had a wonderful time staying with family and friends, and now we can measure our time left in Indiana in hours instead of days, weeks or months. Later, I’ll do a more in-depth post about our move (what we ditched and what we’re taking) but for now, our car is packed. We have 7 boxes to take, several bags of clothing, bedding and travel sundries, and a very grumpy rabbit. We will ship only 3 more boxes. Have you ever had everything that’s dear to you in a single car? It’s unsettling and exciting at the same time. We’re truly starting fresh in California, and we’re both so excited to carefully curate everything that comes in and out of our soon-to-be home. And finally, once this all settles down, I’ll be turning my focus towards how my minimalist journey has been changing the way I eat and the way I think about food. But we’re not going to talk about that now, because the past two weeks of holiday eating have not been exemplary of our diet (although I’ve loved everything I’ve eaten). Next time you hear from me, it will be from the other side of the country! I hope your holidays were filled with more love, less stress and lots of time with the ones you care for most. Sending you all my warmest wishes for a peaceful and productive new year. This entry was posted in Home and tagged change, moving. Bookmark the permalink. This is both impressive and exciting! I will keep an eye on your blog as I go ahead with my own Less is More project. I came across your blog and was intrigued because I moved from Southern California to Indiana (and lived there for 3 years). Now I live in Missouri and might be moving to Northern CA this year. I love reading about people moving to new cities/states. It isn’t easy, but no matter how weird it is at first, you get used to the new place and next thing you know you have a favorite coffee shop. You also learn a lot going out of state. It’s worth it. Those are some big moves! But I’m finding out so far that you’re right – it’s challenging, but so cool to be out of your element and exploring a new place. So far California is everything I had hoped for and more 🙂 It’s so beautiful! 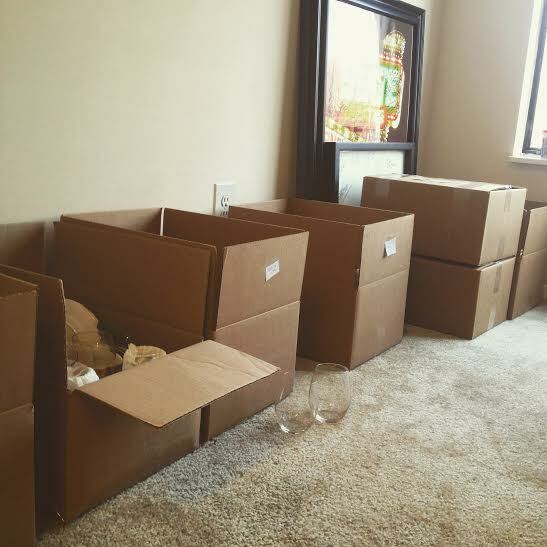 Best of luck if you do end up moving this year!